New Zealand banks' profitability will remain strong over the next 12-18 months and continue to compare favorably with peers in other countries, despite slower credit growth and rising wholesale funding costs, according to credit ratings agency Moody's Investors Service. 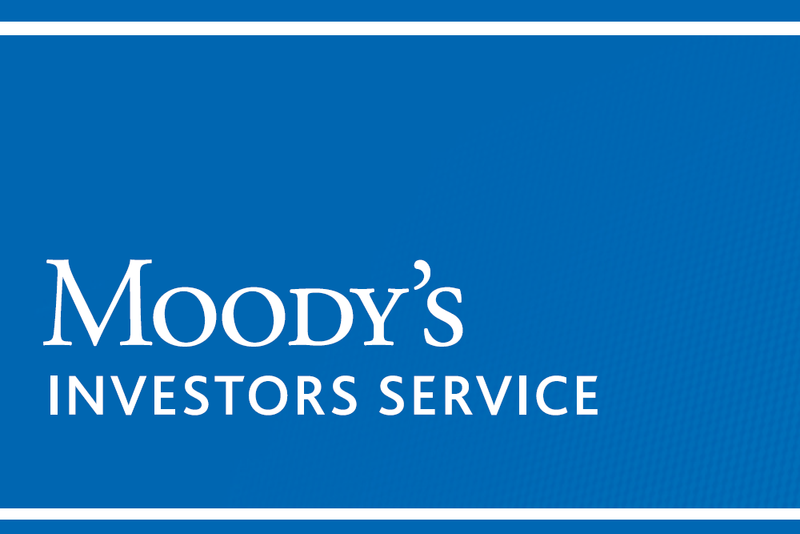 In its latest Banking System Outlook publication for New Zealand, Moody's says slower credit growth and higher wholesale funding costs will weigh on net interest income. "However, these negative factors will be partly offset by a persistent gap between deposit growth and loan growth," Moody's Vice President Daniel Yu said. "Stronger deposit growth relative to loan growth will ease pressure on banks to compete for deposit funding with higher rates, which will support net interest margins (NIMs). "Deposit funding, at around 72% of total funding, is the biggest driver of overall funding costs. "Furthermore, we expect the pace of borrowers switching from variable-rate mortgages to fixed rate mortgages to continue to slow, given that the portion of fixed-rate mortgages, at 80%, is approaching the pre-crisis average of 84%. This will support NIMs, considering that in New Zealand, fixed-rate mortgages typically have lower margins than variable-rate mortgages." Yu said credit costs were likely to remain low as asset quality stays healthy. "Also, structurally, New Zealand's banking sector is highly concentrated, which supports bank pricing power. The banks have also been quick to embrace technology. These factors will continue to help New Zealand banks maintain relatively high returns on assets and good efficiency metrics compared to their global peers." Funding conditions will be broadly stable, with slower credit growth leading to a marginal narrowing of banks' funding gap. "We expect deposit growth to continue to outpace loan growth, reducing funding pressure for banks. The proportion of deposits in total funding at banks was at a historical high as of March 2018. New Zealand banks have also further extended the tenors of their wholesale funding over the past year, continuing to reduce the share of short-term debt in their overall wholesale funding." However, Yu said funding costs could increase as global interest rates rise. Also, debt issuance costs could rise if offshore investor sentiment deteriorates as a result of an escalation of global trade tensions. With about 22% of total funding sourced offshore, New Zealand banks remain exposed to global funding conditions. "In the event of extreme market stress, banks can enter into repurchase agreements on self-securitised mortgages with the RBNZ. Such transactions provide banks with significant additional liquidity by allowing them to quickly monetise a substantial portion of their housing loan books. The RBNZ is currently reviewing requirements for the eligibility of collateral, and we expect the central bank to make an announcement during the second half of 2018. "A potential tightening of regulatory capital requirements is likely to lead to a moderate improvement in bank capitalization. Capital will also be supported by a continued moderation in credit growth and strong profitability. The systemwide average Common Equity Tier 1 (CET1) ratio rose to 11.24% at the end of March 2018 from 10.58% a year earlier. "The RBNZ is currently conducting a review of capital adequacy rules, which it expects to conclude by the end of 2018. The conclusion of the review is likely to lead to tighter capital requirements because the regulator has said New Zealand banks' capital positions appear less conservative than in the past. The RBNZ has also said stronger capital buffers might be needed as New Zealand is a small open economy reliant on banks to source funding offshore and provide credit for the economy." However, Moody's is not expecting capital requirements to become very significantly stricter because New Zealand's definitions of regulatory capital are already conservative by international standards, even in comparison to stringent Australian rules. Regulators in both New Zealand and Australia apply a number of overlays to Basel III capital ratio calculations, which substantially reduce reported capital ratios. As a result, New Zealand banks' risk-weighted capital ratios are lower than those of their global peers, but they compare more favorably on a non-risk weighted basis. Yu said high leverage among households and dairy farms remains a risk, following substantial growth in debt in both sectors in recent years. "While credit conditions are improving, deleveraging will be a slow and long process, so risks in the household and dairy sectors will remain high for the foreseeable future. Any increase in household sector stress could weaken consumer confidence and consumption, which would consequently hurt overall economic activity and bank balance sheets. Similarly, high indebtedness reduces the financial flexibility of dairy farms to deal with adverse events such as a decline in milk prices, a drought or a further spread of the Mycoplasma bovis disease. "That said, we expect housing prices to continue to rise on the back of robust net migration inflows and housing shortages. Interest rates are also likely to remain low and support house prices. Inflation remains at the bottom end of the Reserve Bank of New Zealand's (RBNZ) 1%-3% target range. As a result, the central bank expects to keep the official interest rate at the current low level through 2019 and into 2020. "However, the pace of price appreciation will slow from previous years due to the impact of the RBNZ's macro-prudential measures, as well as the new government's housing policies, such as restrictions on existing housing purchases by non-residents and on investors' ability to offset losses on some property investments against income, which were included in the 2018 budget. "Risks in the dairy sector also remain high, but have stabilised, now that farms' need for additional borrowing has diminished as a result of improving cash flow amid higher milk prices. Some farms have started reducing debt. New Zealand banks' asset quality is likely to remain strong and compare favorably to banks in peer systems, supported by low interest rates and strong economic conditions. However, risks will persist due to high indebtedness among households and dairy farms. "Delinquencies on housing loans, which accounted for about 58% of total loans in the system as of June 2018, are likely to remain low and continue to underpin overall strong asset performance (Exhibit 14). Households' debt-servicing capability will continue to be supported by low interest rates and strong employment conditions." Depends on how you look at it. Many people's instincts would be that deposit growth represents NZ households being flush with cash at hand and savings. I would be interested in your view of the RB's on-line Dashboard. I am currently preparing a short paper to give them feedback,as they have requested. A great deal of work has gone into building this tool,but my own research,highly anecdotal,suggests that few know of its existence.Having spent some time studying it,I seriously doubt if many would be able to use it to assess the relative strengths of our banks,even if they did know of its existence. "Delinquencies on housing loans, which accounted for about 58% of total loans in the system as of June 2018"
So the answer to what I think is your question is they are referring to total housing loans at that point and not specifically delinquencies – although grammatically it’s not overly clear. - "Stronger deposit growth relative to loan growth will ease pressure on banks to compete for deposit funding with higher rates, which will support net interest margins (NIMs)"
- "structurally, New Zealand's banking sector is highly concentrated, which supports bank pricing power"
Highlights the top of the housing market as rate of loan growth rose while rate of deposit growth fell between 2011 and 2016. It even encapsulates the boom years of 2015/2016 where things got most out of hand. We now have an inverse relationship which is going rapidly in the other direction. As has been discussed by a few commentators here, house price rises are all about increasing pace of credit growth. Be interesting to view this graph 12-18 months from now. "Yu said credit costs were likely to remain low as asset quality stays healthy." What this means is that if the assets backing the loans start losing value and loans start going bad, then interest rates will go up to cover the losses. This introduces another feedback loop that accelerates loans going bad and can lead to a proper crash. This is why regulation like LVRs and loan to income ratios are important.